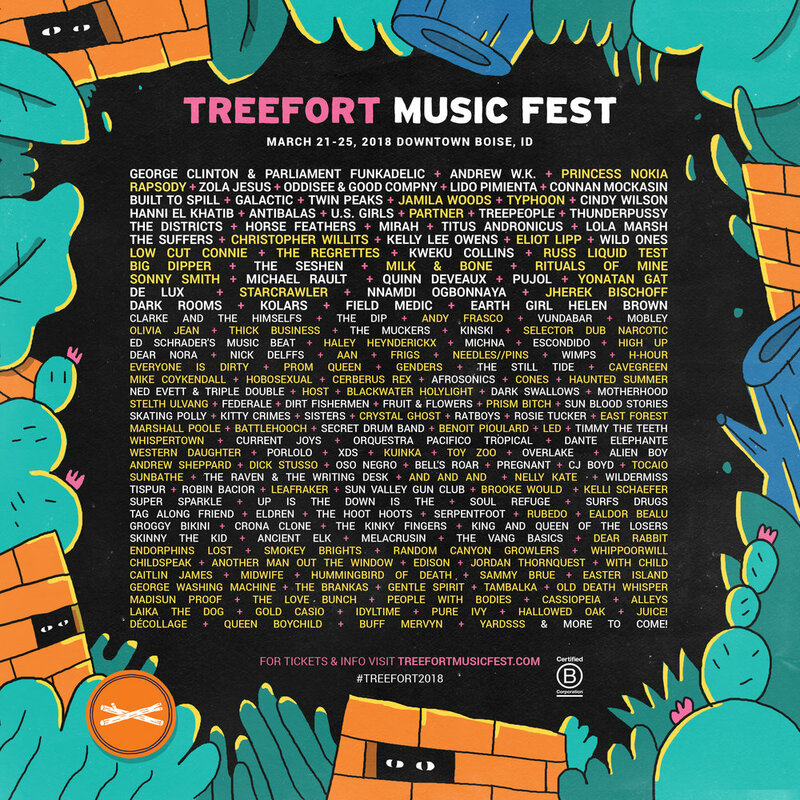 Excited to play Treefort again this year! March 21-25th in beauuuuutiful downtown Boise, Idaho. Check out Instagram or our email list for updates on set times n' stuff. The Olympic Venue in Boise, ID. Featuring Future Criminals of America! We'll be playing our Living Room set. We're playing in our house again, this time with some of our favorite buds Cool American (PDX). Touring with them is Turtlenecked also from PDX! This is going to be a real special one. Legendary singer-songwriter David Dondero returns to Reno, and he’s being joined by his best buds in People with Bodies. But this won’t be any average show. People with Bodies are releasing their ~highly anticipated~ new album Con Cuerpo, and we’re STOKED. Dondero’s songs are introspective stories of his journeys, experiences, and has been named on of the greatest living songwriters by NPR. Best of all, it’s all going down at Bibo Coffee on Record St. Bibo has a long history of holding shows (including Against Me!, Iron Lung and more), but they haven’t hosted a show in a minute, making this extra special. Hey Folks, we aren't playing at Gremfest this year, but they have moved it to 40 Mile Saloon, due to it beein' the rainest week of the year. Enjoy and probably see you there, and since we have you here's some promotion lol. This is gonna be a wild one! Early sign ups. Deals. Points. Drink specials. Friends!! 5 Bux"
w/ Rigorous Proof, Travis Hayes, and Chris Wyatt Scott. Date + Stage + Time tba! Gonna play some new covers too. Reno, NV Holland - w/ Snack + 2 Minutes of Canned Laughter With a Guy with a Paper Bag on his Head. Returning to one of our favorite places to play with one of our favorite bands to play with. DLC with Coastwest Unrest, Saturday night, come celebrate Nevada Day with 2 Nevada bands. Very, very excited to play with good friend and huge musical influence, Dave Dondero. AND, great SF songwriter Anna Hillburg is playing. We are stoked. You should get stoked. Ushering in the new Black Rock Drive In. Joining us are 2 killer Reno bands: Future Criminals of America and Team Francis.